Civil wars, corporate exploitation, AIDS, and Ebola but also democracy, burgeoning cities, and unprecedented communication and mobility: the future of Africa has never been more uncertain. Indeed, that future is one of the most complex issues in contemporary anthropology, as evidenced by the incredible wealth of ideas offered in this landmark volume. A consortium comprised of some of the most important scholars of Africa today, this book surveys an intellectual landscape of opposed perspectives in order to think within the contradictions that characterize this central question: Where is Africa headed? The experts in this book address Africa's future as it is embedded within various social and cultural forms emerging on the continent today: the reconfiguration of the urban, the efflorescence of signs and wonders and gospels of prosperity, the assorted techniques of legality and illegality, lotteries and Ponzi schemes, apocalyptic visions, a yearning for exile, and many other phenomena. Bringing together social, political, religious, and economic viewpoints, the book reveals not one but multiple prospects for the future of Africa. In doing so, it offers a pathbreaking model of pluralistic and open-ended thinking and a powerful tool for addressing the vexing uncertainties that underlie so many futures around the world. 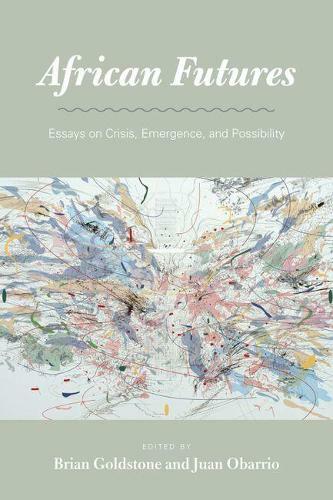 African Futures is an exceptionally stimulating and timely contribution. The volume s introduction offers a compelling and masterful overview of a body of scholarship that has become a key point of theoretical linkage for African studies with scholarship elsewhere in the postcolonial world, while an extremely impressive roster of contributors offer sparkling essays from a range of illuminating perspectives. The strong thematic focus and the timeliness of the topic should ensure this volume the kind of broad readership and strong intellectual impact that only the very best edited collections achieve. --James Ferguson, Stanford University"
At once theoretically invigorating and ethnographically attuned, African Futures brings together many of the most original thinkers in the field for a thoroughly anti-teleological consideration of the future.This book sets the terms of debate for a new and vital moment in Africanist anthropology. --Julie Livingston, New York University"